Microdermabrasion one of the fastest ways to get a cleaner completion and gorgeous glow. This resurfacing treatment sends away fine lines, winkles, discolouration and scars to let your younger, newer skin through. It’s rejuvenating the epidermal layers which leads to collagen production. 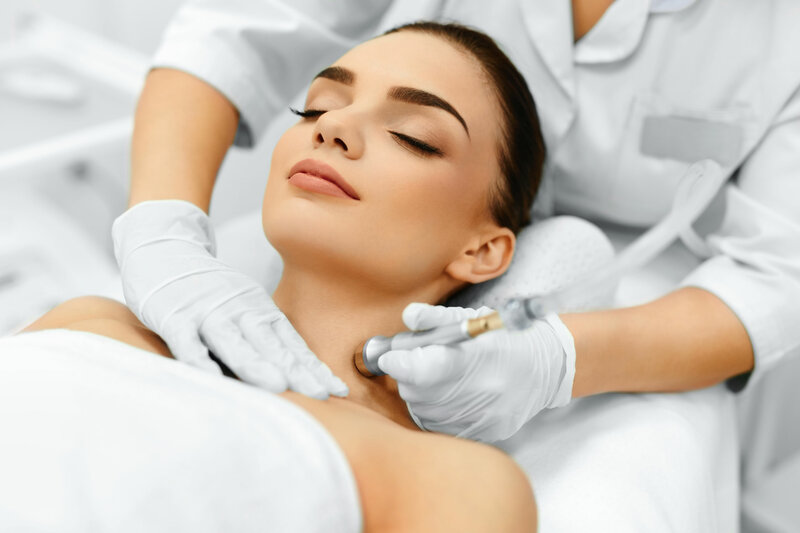 During a microdermabrasion treatment a fire jet of abrasive crystal gently removes dead skin cells layer by layer and a vacuum action lifts away the debris, stimulating the blood flow and encourages collagen and elastic formation. Specific skin problems that benefit from Microdermabrasion. Fine lines & forehead wrinkles. Uneven skin tone, brown spots & blotches.